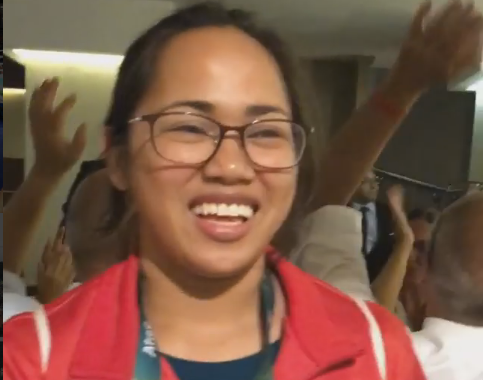 Filipina silver medalist Hidilyn Diaz was given a dinner treat by TV5 officials at Churrascaria Carretão do Lido at Copacabana, Rio de Janeiro, to celebrate her stunning win at the Rio Olympics. When the restaurant diners found out that she was in the house, they broke out in cheers, much to the delight of Hidilyn and the Filipinos accompanying her. A video posted on social media by Media5 President Chot Reyes shows how the diners clapped, howled, and chanted for Hidilyn. 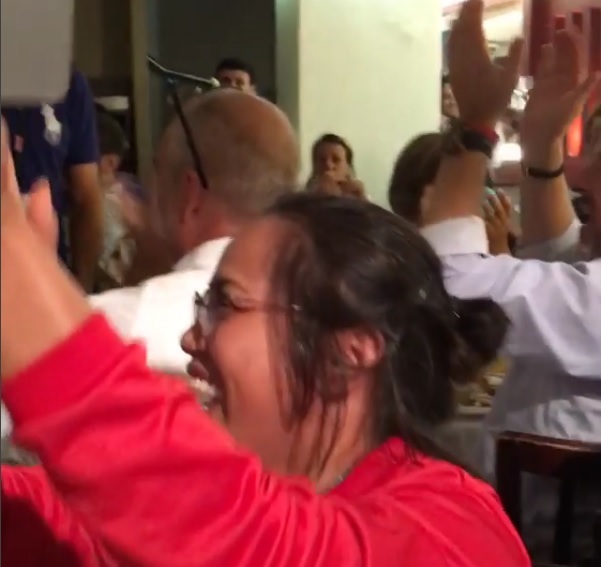 What's more surprising is that there were more foreigners than Filipinos inside the barbecue restaurant when Hidilyn was given the impromptu ovation. As Reyes noted, there were nationals from USA, Switzerland, Ireland, Germany, Czech Republic, Italy, New Zealand and Brazil. And they even sang Ole, ole, ole, some of them standing up from their seats, to give tribute to the Philippines' newest sports hero. For her part, the famed Filipina weightlifter was laughing while she continuously documented the event on her smartphone. Then she stood up on her chair(? ), danced for a bit, and proudly unfurled a Philippine flag as the singing and clapping continued. Hidilyn is the first female athlete from the Philippines who won an Olympic medal. It is also the first time that the country got a medal for weightlifting. Diaz finally ended the 20-year drought that the Philippines had experienced in its quest for an Olympic medal. Congratulations Hidilyn ! We are so proud of you!